By Keith Cowing on May 21, 2007 9:29 AM. Editor's note: We have another Flat Gorby sighting - this time he is helping www.triplerpets.org (they got the web address slightly wrong). This is "a grass roots effort of volunteers from across the country coming together to provide support for animals during crisis situations. The group was formed in the wake of Hurricane Katrina, when there was a need for ongoing support in the communities of Coastal Mississippi." 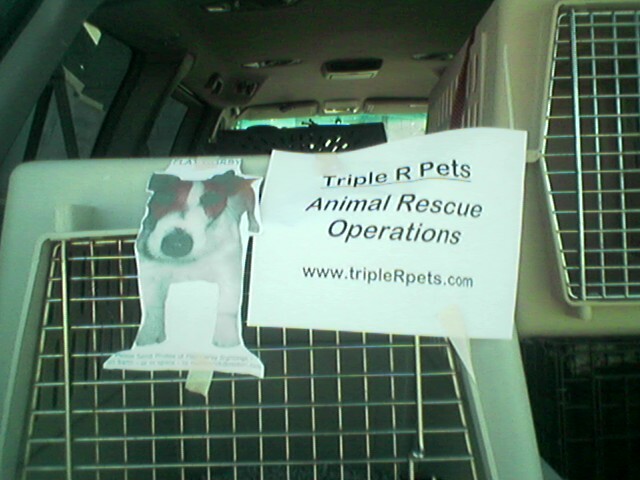 Editor's note: We have another Flat Gorby sighting - this time he is helping www.triplerpets.org (they got the web address slightly wrong). This is \"a grass roots effort of volunteers from across the country coming together to provide support for animals during crisis situations. The group was formed in the wake of Hurricane Katrina, when there was a need for ongoing support in the communities of Coastal Mississippi.\"
This page contains a single entry by Keith Cowing published on May 21, 2007 9:29 AM. Wasting Time (and Money) at NASA PAO was the previous entry in this blog. Gators inside KSC Building is the next entry in this blog.